Superior Cores is located in Moorebank, NSW, and has operated for over 20 years. The team at Superior Cores are 100% committed to manufacturing and supplying the highest quality product on time, every time. Our manufacturing facilities are supported by Quality Management System based on the ISO 9001 system. The latest foundry technology is used in producing products and the company is supported by most major foundry suppliers. Our production system is set up to supply a range of products from the smallest to larger volumes. We deliver throughout the Sydney area. 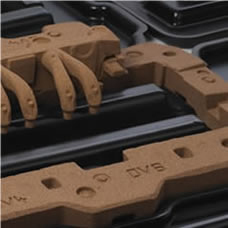 Sand cores are pieces that are placed into casting moulds to form internal cavities of the casting, or to form extra sections of the mould for castings that have external projections or negative draft. Our cores are manufactured using cold set systems or shell/resin coated sand systems. We can handle cores up to 60kg max. 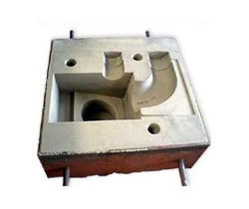 Our non ferrous castings are manufactured using various sand casting processes. We use either green sand or air set sand process. 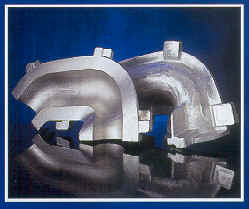 We specialize in non ferrous castings based on high quality aluminium, bronze, gunmetal, copper and brass. Our metals are compliant with the international quality standards as required. 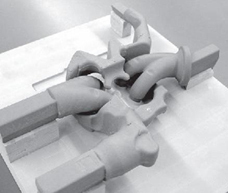 We are set up to handle castings up to 50kg max. • A large range of Stock Core readily available from ¼” to 4” diameter. • Raw Sands 55 AFS and 70 AFS, Packed 25kg or 1500kg Bulk Bag. • Resin Coated Sands at varying strengths of resin additions 1% to 5%, packed 25kg or 1500kg Bulk Bag.